You know their contact data, of course: their names, addresses and phone numbers help you keep in touch with them. But are they likely buyers of your product or service? Are they likely to be Facebook or Instagram users? What kinds of marketing would most appeal to them? And perhaps most important, how can you best serve them? The answers to these and many other questions often lie with demographic data. Demographics is becoming more important to businesses than ever – not only to stay competitive and profitable but for compliance as well. Here we’ll explore some of the ways that customer demographics help businesses grow, become more profitable, and steer clear of compliance risks. Marketing professor Neil Kokemuller describes the process of marketing using the acronym S-T-P: segmenting, targeting, and positioning – and goes on to point out that demographics play a key role in the segmentation process. Knowing these demographics helps keep you from trying to sell winter coats in Death Valley, or using a tone-deaf marketing approach for Millennials. If you’ve done any marketing, you already know that finding your audience is crucial. New companies will sometimes use surveys and make inferences, or if they have the foresight and budget, they’ll do studies before launching. But if you’ve already gone to market, there’s a wealth of information in your customer and lead databases that can drive you in the right direction. Once you understand what market segments exist in your contact data, you can use this additional information to create targeted marketing campaigns. You may already do this with tools like Facebook ads – for example, targeting a group by geolocation or age. But knowing the size and characteristics of the market segments in your contact database can substantially increase the specificity and ROI of your existing campaigns. Additionally, businesses maintaining demographics information on their customers can create dynamic customer profiles and personalize website experiences. Finally, in an era of tighter-than-ever marketing budgets, knowing more about your customers and leads helps you in two ways. First, it helps you plan your campaigns around your highest-value customers, driven by data about them that refines your strategy and keeps them coming back for more. Second, it helps you avoid marketing tactics that may not be relevant to a specific group: for example, marketing homeowner products to apartment-dwellers, or investment services to college students. Or, even making sure to use large, easy-to-read fonts when marketing to older audiences. Once the marketing team has employed these tactics to drive quality leads to the sales team, good demographics can also help convert them into customers. First, it helps salespeople make the best use of their time because having data on both your leads and your existing customers can be helpful in prioritizing incoming leads. Second, the more you know your prospect, the better you can tailor your pitch to their needs – factors such as average income, age or education can all inform what to expect from a sales call, as well as what issues to focus on. Here’s why your contact database is truly a goldmine for making business decisions: the cost of acquiring a new customer is five times that of keeping an existing one, but many companies still focus more on acquisition than retention – by over a factor of two. This makes strategic planning against existing customer demographics your secret competitive weapon. Making business decisions such as growth, location and offerings based on demographic information from existing customers is both cost-effective and market-savvy. For example, clothing retailer Christopher and Banks has long designed their offerings around a prototypical customer demographic they refer to as “her,” consisting of middle-aged women seeking moderately-priced clothing. Strategic directions like these can then inform the marketing and sales processes, and understanding the life cycle of customer demand can also help with decisions on pricing, product changes and new service offerings. One of the fastest-growing areas for demographic data in recent years is regulatory compliance. Maintaining demographic information like household income can help your company should questions arise regarding acts such as FFIEC’s Fair Lending Examination Procedures, the Community Reinvestment Act (CRA), and the Home Mortgage Disclosure Act (HMDA). 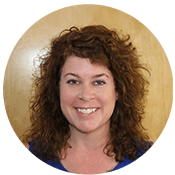 A recent post on compliance from our Director of Marketing Carolyn Healey examines these issues in detail, together with a powerful solution for automating the collection of compliance data. Enhancing your contact data with such demographics ensures you have the most accurate records for compliance and planning. More important, it provides a window on your market that you might never get from individual consumers themselves. It is truly the spark that can turbocharge the value of your contact data assets. Service Objects has two complete, easy-to-implement services designed to power your contact data with demographics: our DOTS Demographics Plus service provides extensive block-level demographics for your address data based on the latest US Census and USPS data, while our new DOTS Address Insight service combines address validation, geocoding, and demographic data in a package that is custom-designed for compliance efforts such as finance, credit, real estate and more. Want to learn more? Contact us anytime to speak with one of our friendly and knowledgeable experts.